The Jamf Pro database collects an enormous amount of helpful data. However, it's not the amount of data that's important; it's what organizations do with the data that matters. 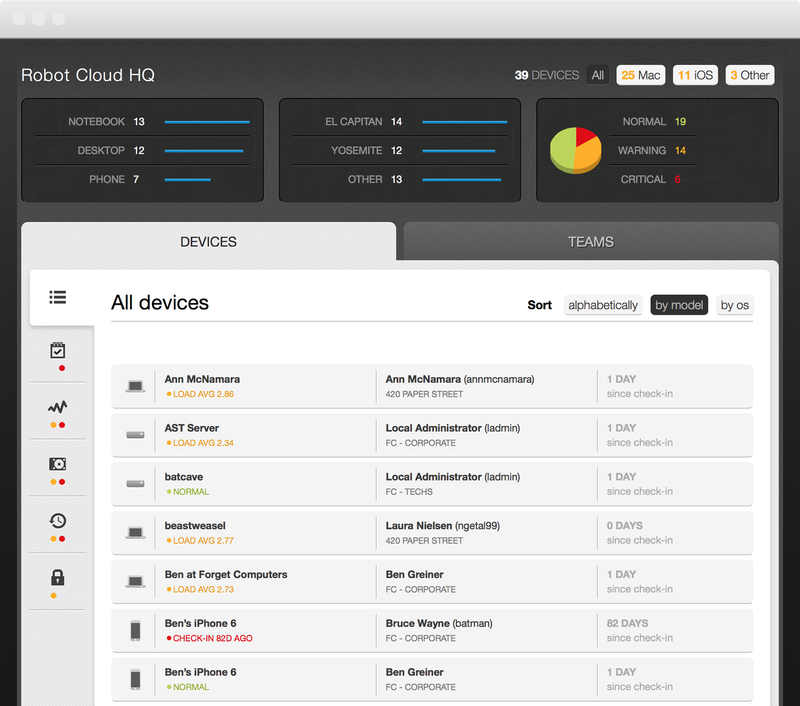 Easily monitor the health of your managed devices and extend the reporting capabilities of your Jamf Pro. 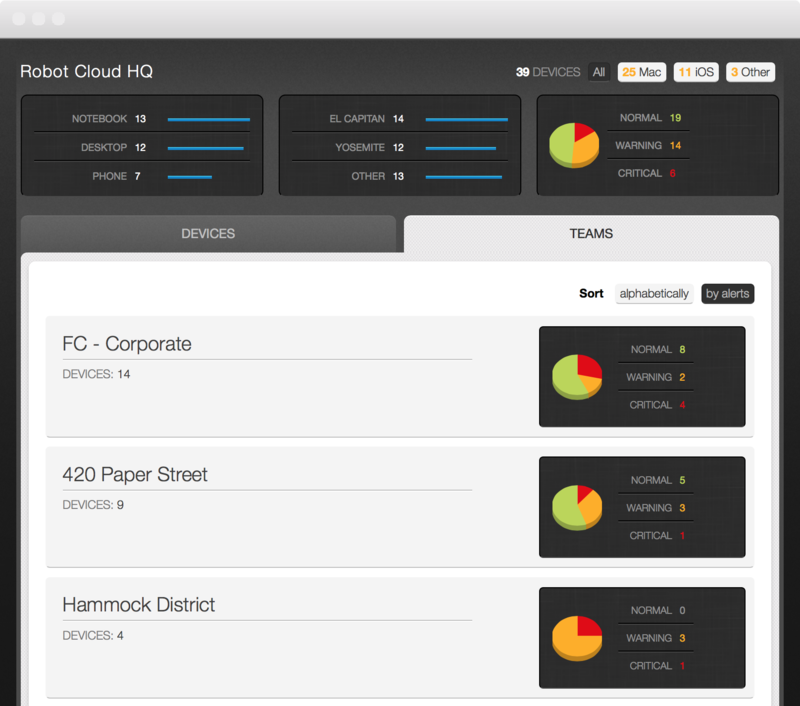 Robot Cloud Dashboard will help your team analyze Jamf Pro data for insights that can lead to better decisions and strategic business moves. 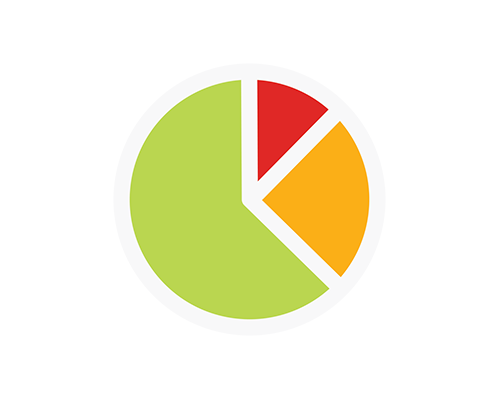 Quickly and easily get non-technical people involved in viewing your data. Reduce the amount of time it takes to find relevant information. Enhance your overall customer experience and employee satisfaction.